Camp sessions are four weeks and eight weeks long . We also offer a limited two-week option for new campers ages 8-10. Our fee structure is designed to encourage participation in our eight-week program and make this full Songadeewin experience affordable for the greatest number of families. We believe the longer program offers girls the very best camp experience! Enroll by November 1 to receive an Early Bird Discount of $250. Receive a 5% discount on each fee for two or more siblings attending any one of Keewaydin’s three camps. * Limited to first-time 2nd – 4th graders. ** Due to their rugged nature, Wilderness Trips are for girls ages 15 – 18 only. Please contact us for more information. In addition to the rate for this trip, there is a travel expenses fee of $500.00 USD and 13% Canadian Tax on tuition. Songadeewin of Keewaydin is a summer camp for girls. In order to attend, girls must be physically and emotionally prepared to fully participate in the program. Songadeewin of Keewaydin serves girls who meet the criteria for admission regardless of race, ethnicity, disability, religion, sexual orientation, national origin, or transgender status. Yes! Songadeewin is accredited by the American Camping Association and must comply with extensive standards in program, personnel, administration and facilities. Our camp is non-sectarian. An all-camp Sunday service, called Sunday Circle, is held each weekend by the Lake. Here, campers and staff offer readings, reflections and songs related to a theme, like friendship, sharing, teamwork, caring for each other, or appreciation of nature. Thankfully, yes! Laundry is done weekly for all campers at no charge. Campers can bring their own sheets, towels and blankets or lease camp bedding for a small fee. When may I visit my camper? Parents are welcome to visit Songadeewin anytime after the first two weeks of their child’s stay. The best time to visit, however, is at mid-season on the last weekend of the first session, when there are special events for both parents and campers. We try to be as flexible as possible with parents’ schedules but we can’t change trip assignments to suit your visit. Please call ahead to be sure your child is not out on a trip! See Visiting Camp in the Parents Manual for further details. Do all campers at Songadeewin take overnight trips away from camp? Yes! It’s a keystone of the Songadeewin experience, and all ages participate in canoe and hiking trips of varying lengths. Do campers need to bring camping equipment? Personal gear including sleeping bags, sleeping pads, waterproof bags and personal water bottles must be supplied by each camper. We provide the tents, backpacks, ground cloths, and cooking equipment. Click here to learn more about camping supplies. What forms are required and where can I find them? My camper requires daily medication. How do I arrange for that during the summer? Songadeewin works with CampDoc, which provides pre-packaged medication for campers. A series of frequently asked questions on this topic can be found here. Can I request housing with specific staff or campers? We need full discretion to pair similar campers with appropriate staff so we unfortunately can’t honor specific housing requests. Tent and cabin assignments are made just prior to the opening of camp, and are based on camper needs, physical development, and age groups. Summer camp is also a golden opportunity to make new friendships, and so we discourage housing hometown friends together. How can I communicate with my camper during the summer? We strongly encourage communication by regular, “old fashioned” letters and postcards. Campers love getting mail delivered, and replying helps them develop good writing skills and habits. Campers do not have access to computers to correspond by email. However, if you email your child using [email protected] with your child’s name and Longhouse in the subject line, we will print your email and include it with our daily mail delivery. Phone calls are strongly discouraged, but we do allow brief, parent phone calls after the first two weeks. See our Parent Manual for more details. This is just a small sampling of the typical questions we receive each season. For complete information on these and other issues, please consult our Parent Manual or feel free to call the Director at 802-352-9860. 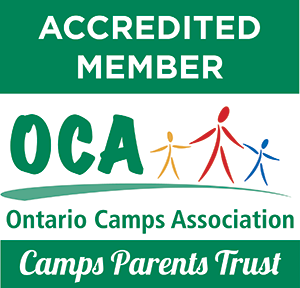 Parents are invited to visit at any time after the first two weeks of a camper’s stay. We are happy to give tours of camp during the summer season or anytime during the year! There are many lodging options in the Dunmore region. CLICK HERE for a complete list.